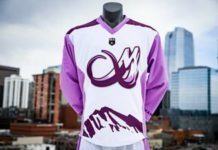 Major League Lacrosse announced Wednesday Denver Outlaws goaltender Jack Kelly as the league’s 2016 Rookie of the Year. Kelly is only the second player in franchise history to receive the award, joining former midfielder Dan Hardy who won the award in 2009. Kelly received 12 of a possible 18 first-place votes and totaled 72 points. 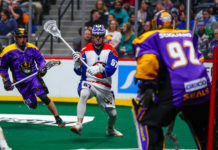 Charlotte Hounds attackman Ryan Brown came in second with 38 points and Chesapeake Bayhawks’ midfielder Myles Jones finished third with 20 points. Players received five points for each first-place vote, three points for each second-place vote and one point for each third-place vote. 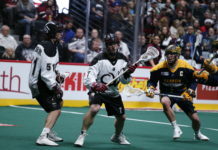 Both Kelly’s 12.55 goals-against average and .545 save percentage ranked second in the league among goalies who recorded at least 302 minutes in goal this season, trailing only the Rochester Rattlers’ John Galloway. Kelly’s .545 save percentage ranks seventh-best in franchise history for a single season among goalies that have made at least 100 saves. 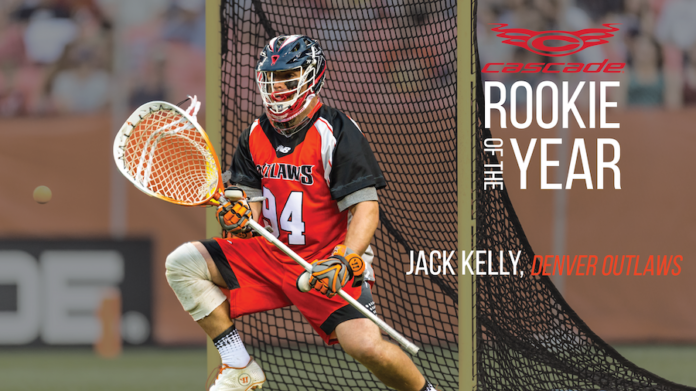 Kelly twice won Cascade Rookie of the Week honors this season, in Week 11 and again in Week 14, and was named the Warrior Defensive Player of the Week in Week 13, in which he set a career-high with 20 saves. All three games were Outlaw wins. After starting in Week 8 against Florida, Kelly finished the season with a 6-1 record and played an integral role in the Outlaws’ playoff push, earning the win in all six victories of the team’s six-game win streak to close out the season.